The following is a list of Catholic ministries in the state of Arkansas in alphabetical order. This includes Catholic charities, social service agencies, hospitals, religious, parishes, schools, organizations and programs. 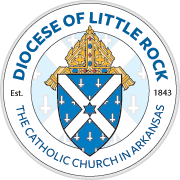 To see a list of diocesan offices, visit our Diocese of Little Rock Office Directory. To find diocesan offices in Spanish, go to Oficinas de la Diócesis de Little Rock.